An attractive 13.25% (13.25% a.e.r) interest on maturity for one year fixed deposit product is now available. The bank also offers 12.75% (13.16% a.e.r) for six months and 11.50% (12.01% a.e.r) for three months fixed deposit products assuring a higher yield for customers’ investments. Customers can avail for this special offer by investing a minimum of Rs. 250,000 in any of the aforesaid tenors. 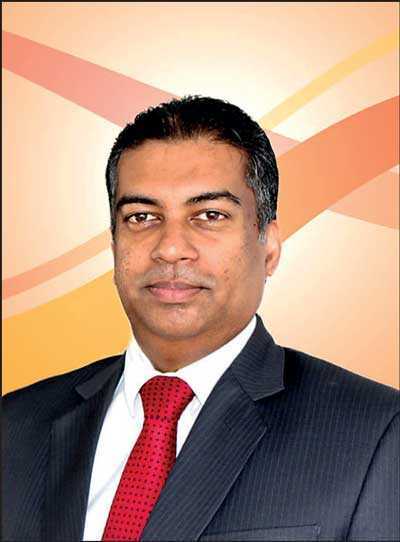 Cargills Bank Retail Banking Head Buddhika Perera said: “The bank’s motive is to encourage customers to make smarter long term investments and save to support their financial future. As the spending pattern of public goes relatively high during April season, the bank firmly believes that offering special returns for fixed deposit products would nurture the habit of ‘Saving’ while spending, thus adding true value for their hard earned money. “We have also attuned to changing consumer lifestyle and customer convenience by enabling customers to transfer funds and open their fixed deposit products simply online through our mobile and internet banking services without having to visit a branch. Our rationale is to offer investment methods that are secure, convenient and delivers peace of mind to customers and ultimately to provide an outstanding banking experience backed by service excellence,” he further added. In addition to the fixed deposit promotion, the bank has introduced a special cashback promotion with card products. ‘Special 25% cashback at Cargills Food City’ is now available for customers. The cashback is set up to credit customers’ savings account which further offers an incredible interest rate of up to 8.25%.p.a. ‘Cargills’ is a brand that has been faithfully serving Sri Lankans for 175 years, built on a foundation of values and ethics. True to this heritage, Cargills Bank is taking banking to the masses by being inclusive and accessible. Cargills Bank is a fully-fledged licensed commercial bank with a BB (lka) Fitch Rating. The amazing Cargills Cash Savings Account is available at over 370 Cargills Food City outlets, allowing you to do grocery shopping and banking at the same place at your convenience. Cargills Bank’s Head Office is in Colpetty, with branches at Maitland Crescent, Maharagama, Old Moor Street, Wattala, Rajagiriya, Kandy, Peradeniya, Nuwara-Eliya, Ratnapura, Thanamalwila, Matara, Galle, Kurunegala, Chilaw, Kaduruwela, Vavuniya, Chunnakam and Jaffna.